The "Hamburg" 6mR Yacht at the "German Classics" in August 2014. Strong winds at the second day of the "German Classics 2014" reduced the number of starting boats. 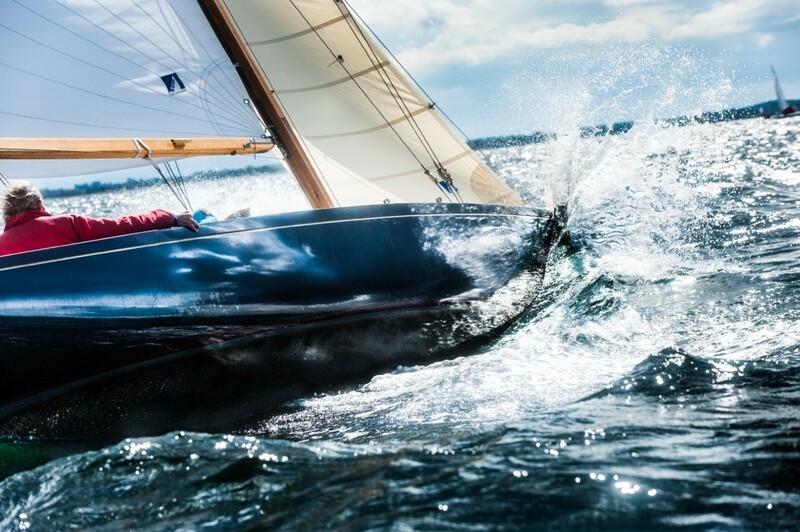 The photograph was taken at one of the last legs of the final long distance race of the German Classics in the bay of Kiel.